I have been working on this belt grinder since last friday and I was able to complete it today! 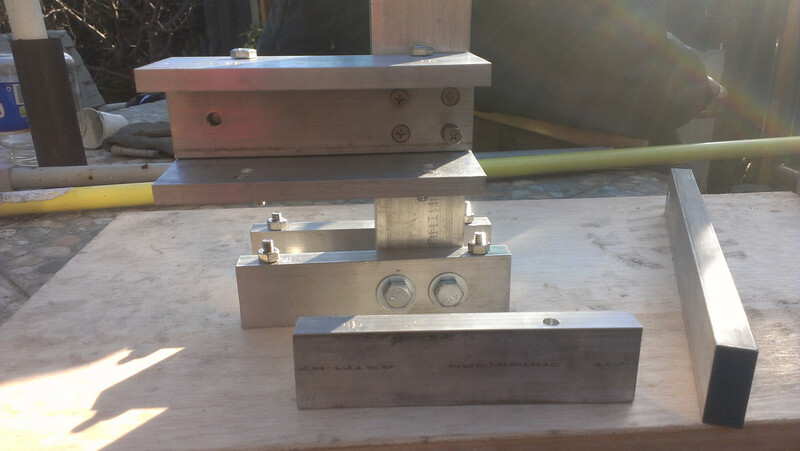 This is another tool I have been planing to build for years and it is so exciting to finaly have it in my shop! Here is a video showing how it works. Nice build Dave(and yours was much cheaper than mine)! Isn't having a belt grinder wonderful? I love mine. Some pics please Dave, I'm stuck on a bberry, can't see videos, and I'm about to start a build! Yeah, weird, I use an ipad, I can't see vids posted on this forum either, but this is the only place I can't. Could you post a link perhaps? Thanks Matt And Wes! And Yes Wes it is so nice to finaly have a belt grinder! I clean carpets for a living and my right shoulder gets enough strain from that. My shoulder was really getting mad at me after another 4 hours of file work every couple days! Matt. I will have to get back to you on the voltage. I can't remember! Sure thing Miles I am uploading them as I am typing this I will post them in a couple mins! That is strange Graham, Maybe becuase the video player is a flash player. You may need to install the adobe air app for your ipad. Then you should be able to watch videos like this. 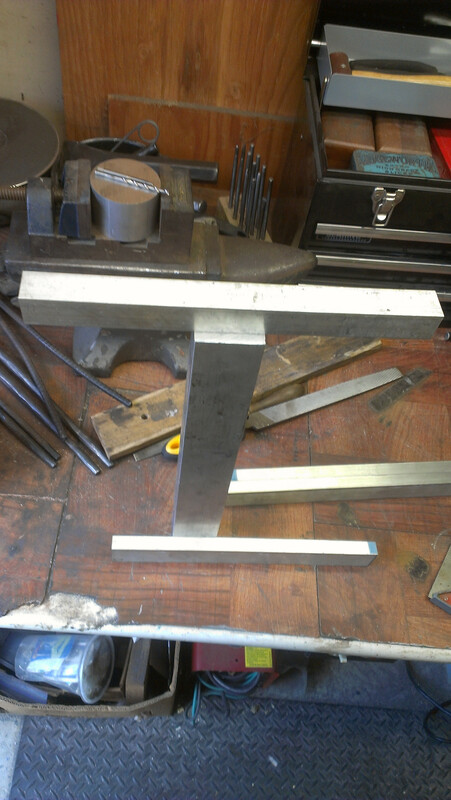 Here is the aluminum pieces I started with. Here is the 3" by 2" round plank I made my drive weal out of. 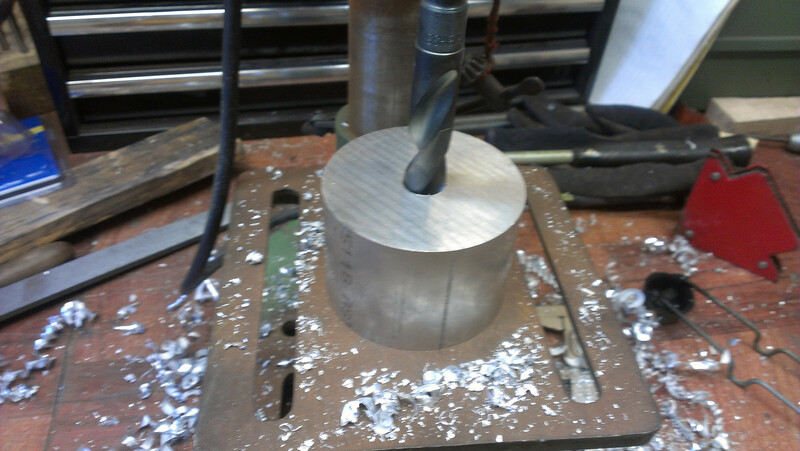 I turned it with that tiny chisel. 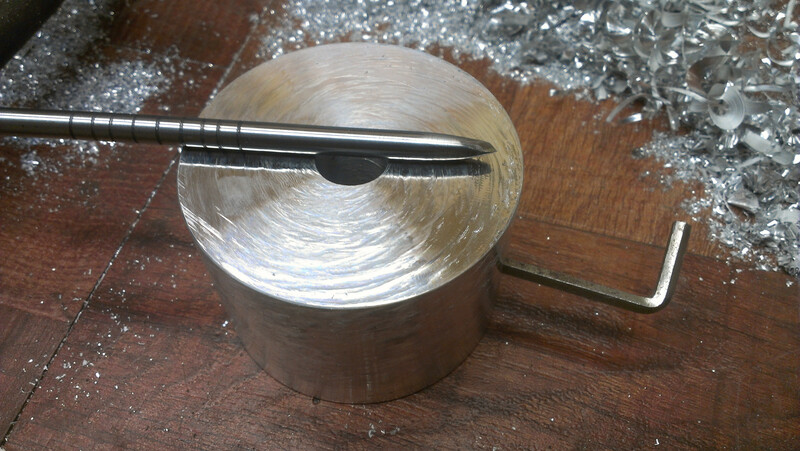 I made the chisel a while back for doing engraving but it worked alright for a metal turning tool. Not the best finish but it spins and drives the belt just fine! 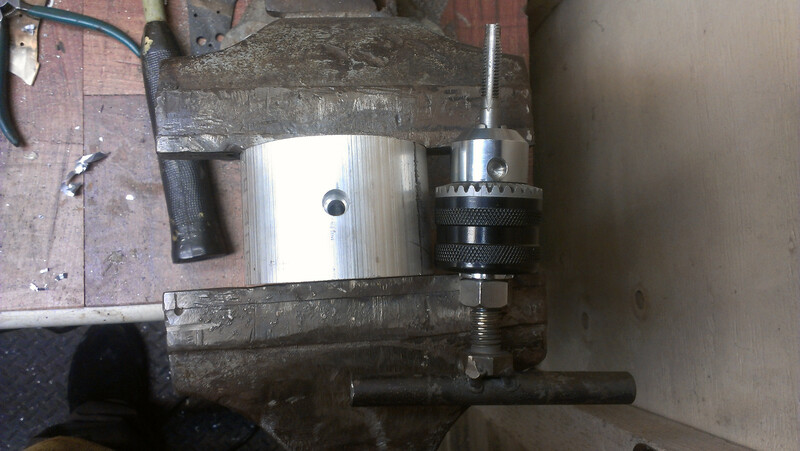 Here is the drive wheel with a drilled and tapped hole to accept a set screw to mount it to the motor. 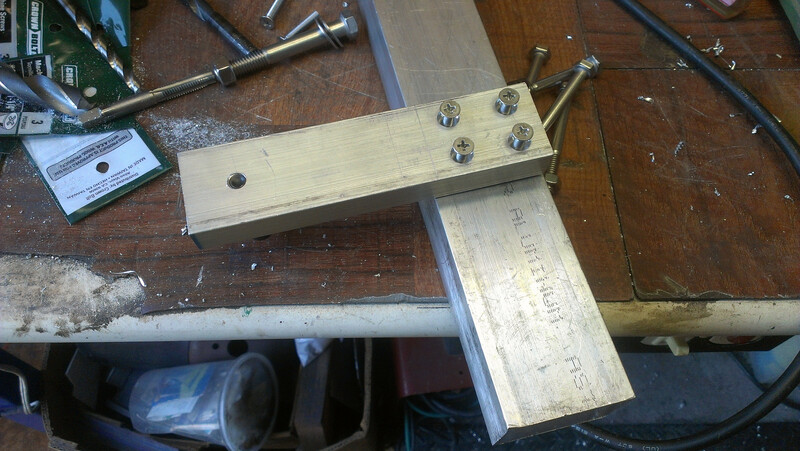 Here is the idle and contact arm assembly. 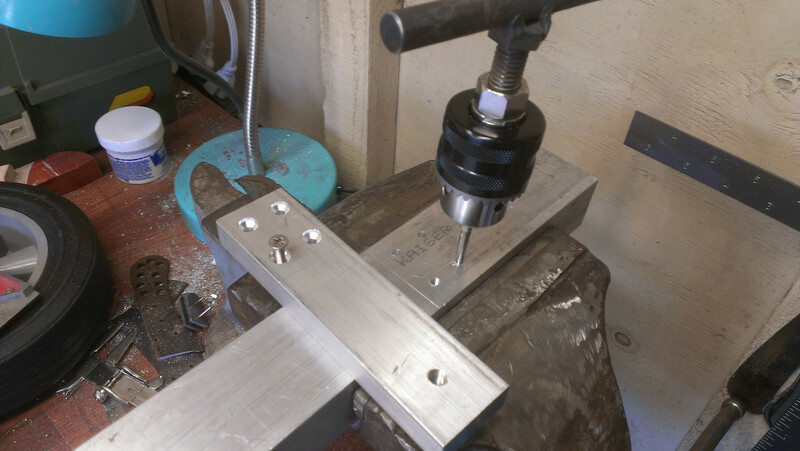 I drilled and tapped four holes to hold the contact arm to the main vertical post. Here you can see how the four screws are set back so the contact arm can slide inside the sleave for belt length adgustment. 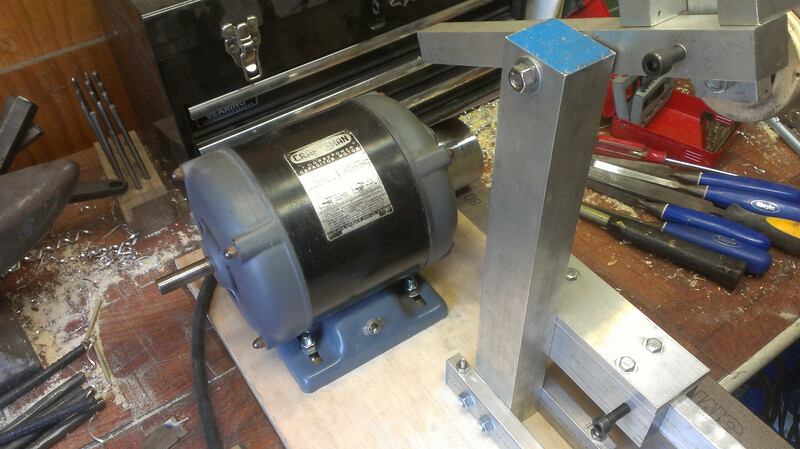 This is my craftsman Motor attached to a 3/4 plywood base. I had to do a little playing around with the angle of the motor drive wheel to get the belt to track just right. Here is an explode of my contact wheel. I whent to the pick your parts and found two ideler pullys that are the same size. They were $18 for the two of them. There only seems to be about 5 types of ideler pullys so it's not to hard to find a match. I used some of the hardwear off of the engine as well as a bolt and some washers to get everything to fit together well. Here is my tracking idle wheel made from three layers of 3/4 plywood glued together. 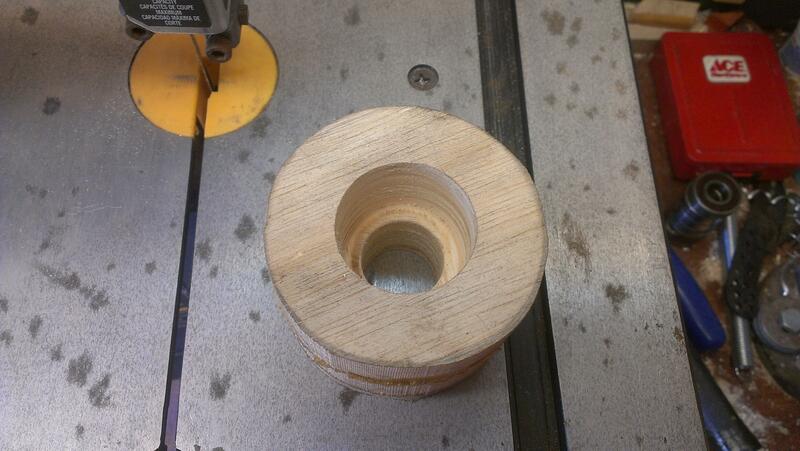 I drilled holes in the center so I wouldn't have to turn as much material out later on. 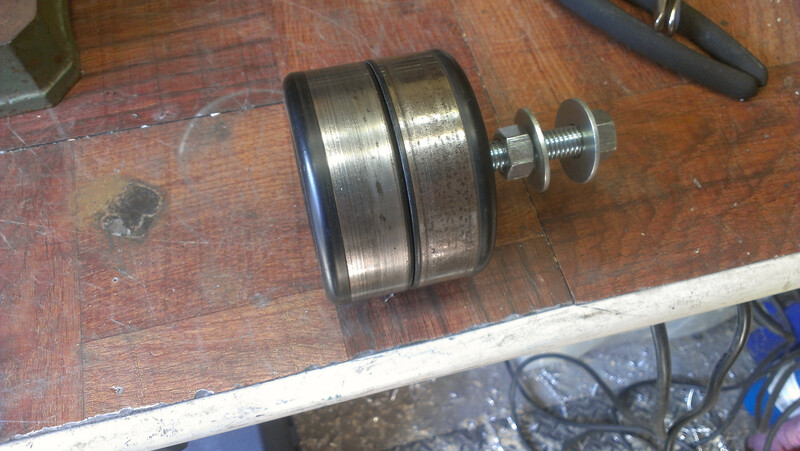 I mounted this wheel to my drive wheel with screws and turned the inside to fit two idler bearings and I turned the outside true and gave it a nice round crown that seems to hold the belt on center very well. I got the bearings from the pick your parts again. 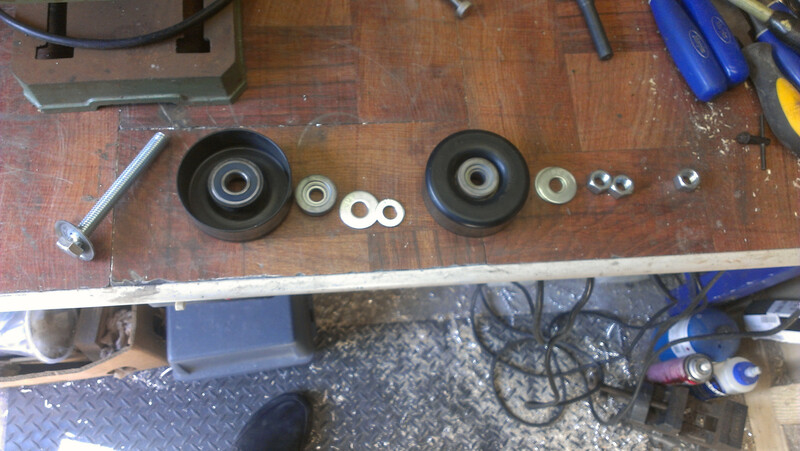 I pulled a bunch of ideler wheels off and then pounded the bearings out of them with a bolt. They gave me the bearings for $1 each! Really cool Dave! 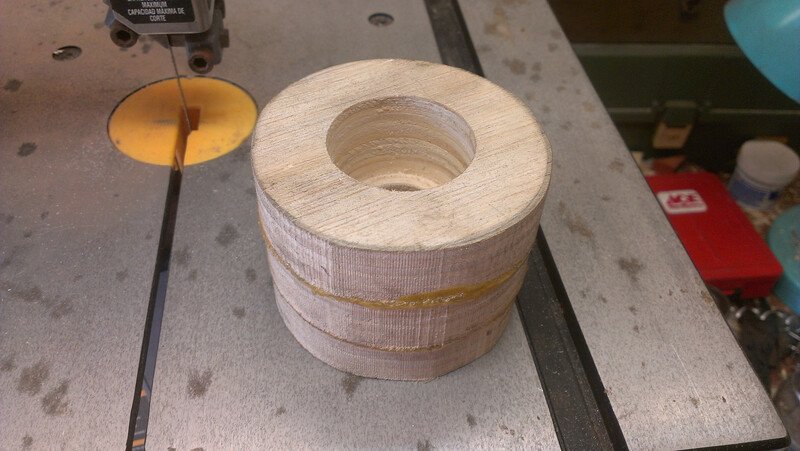 I have also used plywood for idler wheels. Its good to know i'm not the only one. Hey john, its good to know for me that I am not the only one too! 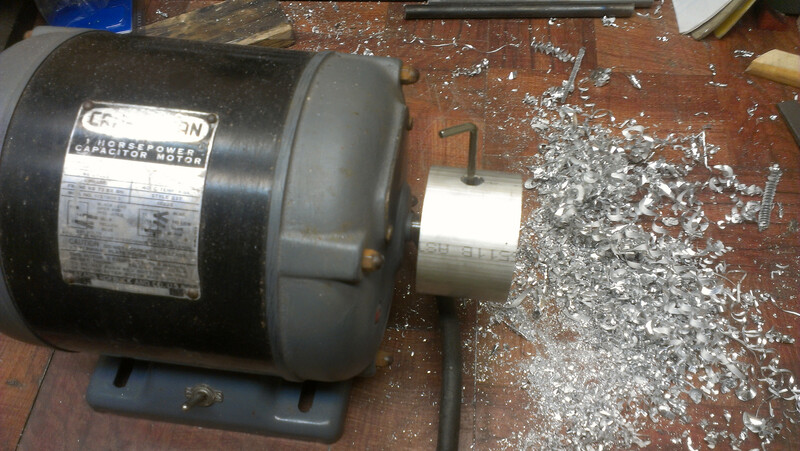 My little belt grinder has a wood drive wheel, I made it big, then turned it down in situ 'till I got the correct running speed...worked well! 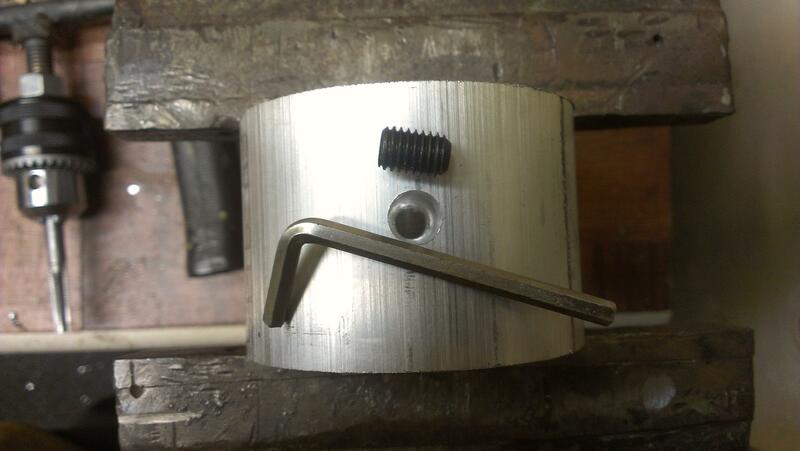 Hey Dave, mind if I move this topic to "tools and toolmaking" and pin it? We need stuff like this! Nice Miles! Can you put up a pic or two? Sure thing Allan! I would be honored to be moved and pinned!